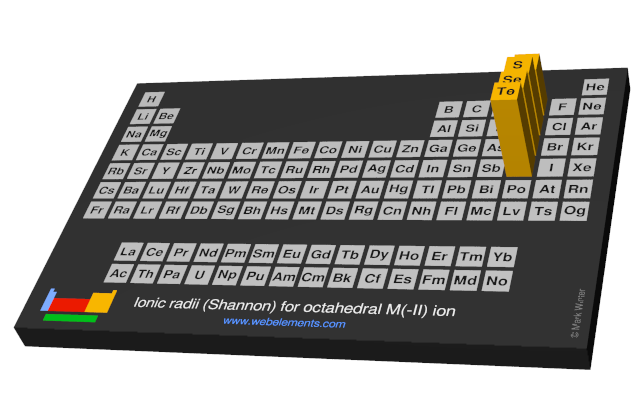 Image showing periodicity of the chemical elements for ionic radii (Shannon) for octahedral M(-II) ion in a periodic table cityscape style. 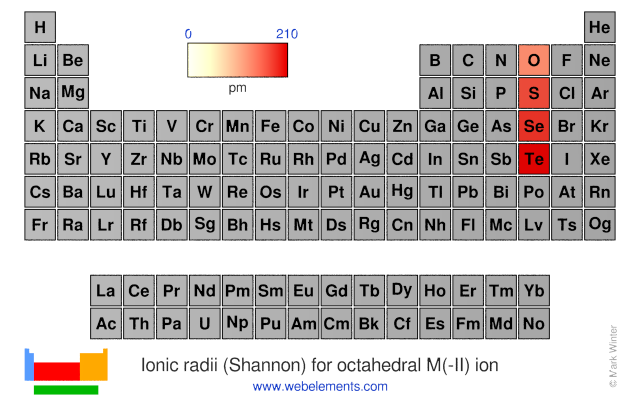 Image showing periodicity of the chemical elements for ionic radii (Shannon) for octahedral M(-II) ion in a periodic table heatscape style. 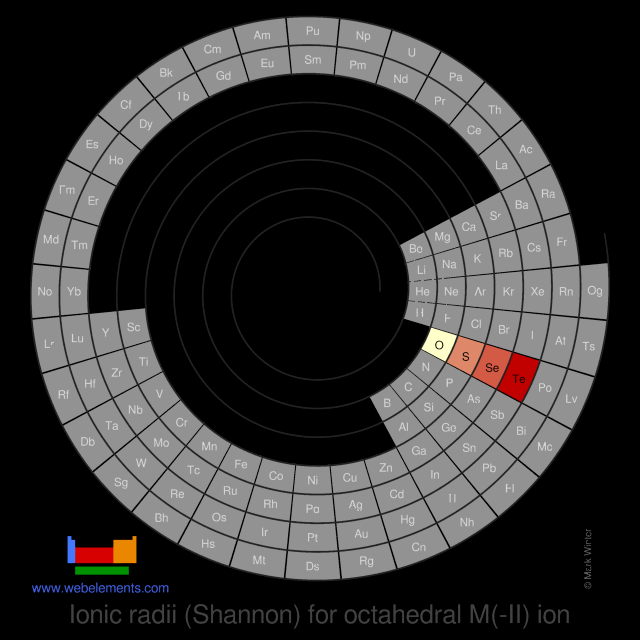 Image showing periodicity of the chemical elements for ionic radii (Shannon) for octahedral M(-II) ion in a spiral periodic table heatscape style. 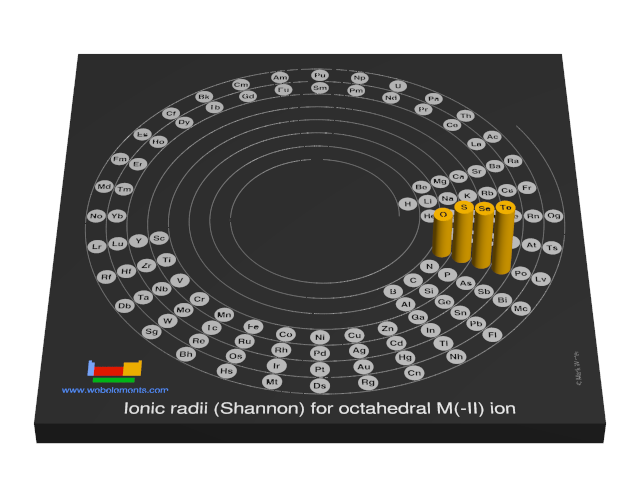 Image showing periodicity of the chemical elements for ionic radii (Shannon) for octahedral M(-II) ion in a 3D spiral periodic table column style. 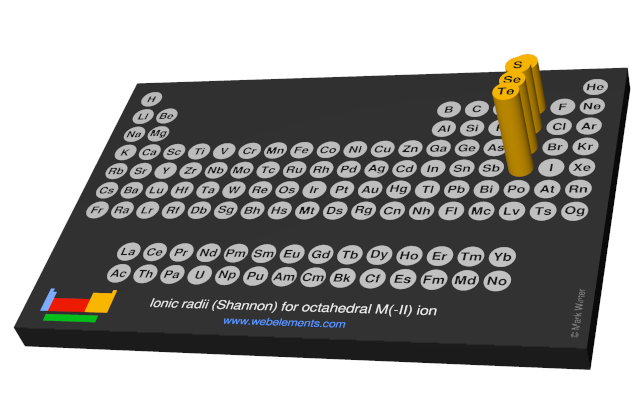 Image showing periodicity of the chemical elements for ionic radii (Shannon) for octahedral M(-II) ion in a 3D periodic table column style.